Something spectacular happened this morning (Sunday, July 2018) in Tiong Bahru Market and Food Centre. 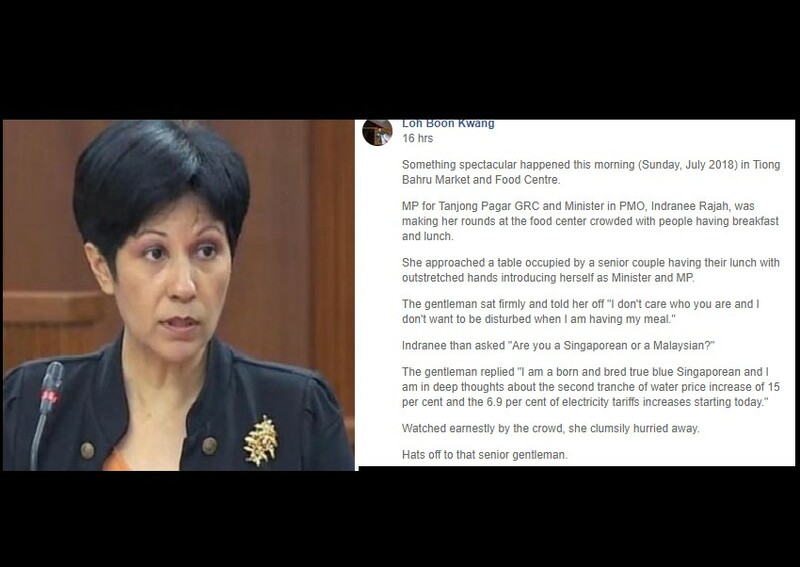 MP for Tanjong Pagar GRC and Minister in PMO, Indranee Rajah, was making her rounds at the food center crowded with people having breakfast and lunch. She approached a table occupied by a senior couple having their lunch with outstretched hands introducing herself as Minister and MP. Watched earnestly by the crowd, she clumsily hurried away. Hats off to that senior gentleman. Previous ArticleCAT WILL BE PUT DOWN BY AVA IF NO ONE ADOPT!! !